Whether you’re looking for an on-site or cloud Moodle hosting solution, we can help ensure the infrastructure is a perfect fit for your needs. Our clients range from single schools to corporate, multinational companies with tens of thousands of users, so wherever you find yourself on the scale, our team can provide a package to suit you. Broadly speaking, we provide two main types of Moodle hosting, either cloud-based or on-site. Each approach has its own benefits and the choice between them depends on the particular requirements of your school / business / organisation. In either case, speed, security and reliability are key. Cloud Moodle hosting is ideal for schools and businesses with good Internet access, providing great performance whether users are on-site, at home or even on the move accessing content via mobile or desktop devices. In addition, our SaaS cloud hosting removes the need for the client to provide server resource, and the need for additional servicing and maintenance. Our Moodle cloud hosting is built on Amazon Web Services, allowing us to offer a world-class hosting environment with elastic, scalable resources and the most reliableuptime. This SaaS hosting solution means you’re not paying for unused capacity. On-site Moodle hosting is the best solution for schools or companies with a limited Internet connection, or strict firewall controls over Internet traffic. It allows for use of the platform without worrying about performance, speed or the data protection concerns relevant to some clients if data was to be moved off-site. Where the learning platform is to be integrated with other on-site or restricted software, such as some MIS systems, this can also prove an ideal solution. 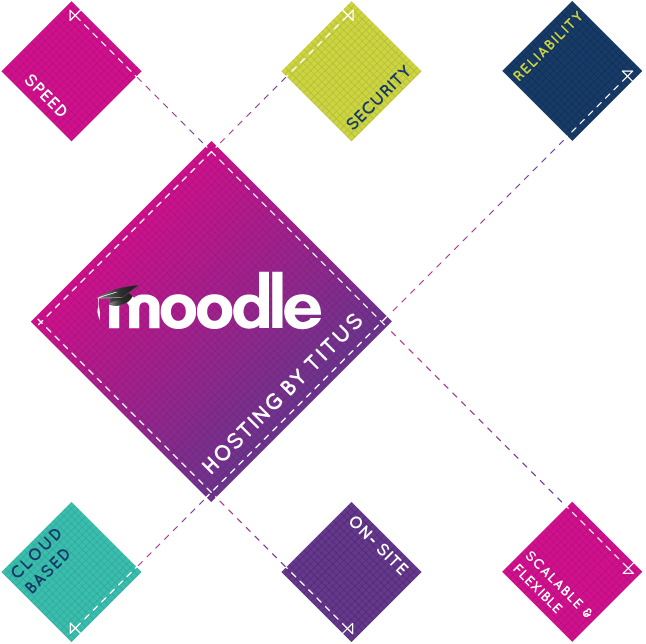 Whether you choose on-site or cloud, Titus Learning provides fully managed Moodle hosting services where we remotely administer all aspects of the infrastructure, including backups, software upgrades and proactive performance monitoring. We’re happy to advise you on which approach will benefit you the most.